Amanda Leffel is an abstract artist from Roanoke, VA. 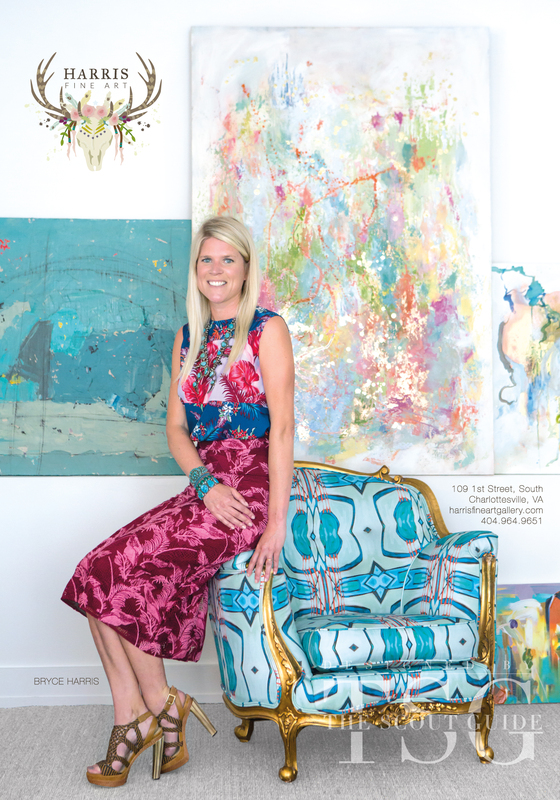 Growing up surrounded by the beauty of the Blue Ridge Mountains and possessing a natural flair for making spaces beautiful, Amanda has always been drawn towards color and the creative world since a young age. She is fascinated with the balance of color vs. white space and symmetry vs. natural movement. Amanda’s use of color and layers show the inner struggle between keeping something aesthetically beautiful or giving it true depth with harsher elements. She draws her color inspiration from travel where natural colors, architectural designs, branding, fashion and eras truly make an impact on her. When Amanda isn’t covered in paint exploring new art techniques, you will find her helping clients decorate their homes, immersed in renovating rental properties, chasing her sweet boys Stockton (8) and Fisher (5) or scouting out the next place to travel with her supportive husband, Scott.